Robinia(black locust) wood has been used for long in China as hardwood flooring material,the wood usually stained with golden yellow color to be crowned as the name of chinese teak. With 1700psi hardness,robinia wood is a typical hardwood used to make hardwood timber floor,tables and furnitures etc. Many dealers call it chinese teak although this wood has no relation with true teak in botanical region. Robinia has medium resistance to termite & insect, 10-15yeas usage would be garanteed if with lacquere on surface. The normal parquet size we supplied is 300-1200x120x18mm, AB Grade with a few knots appearance,no crack and live knots. 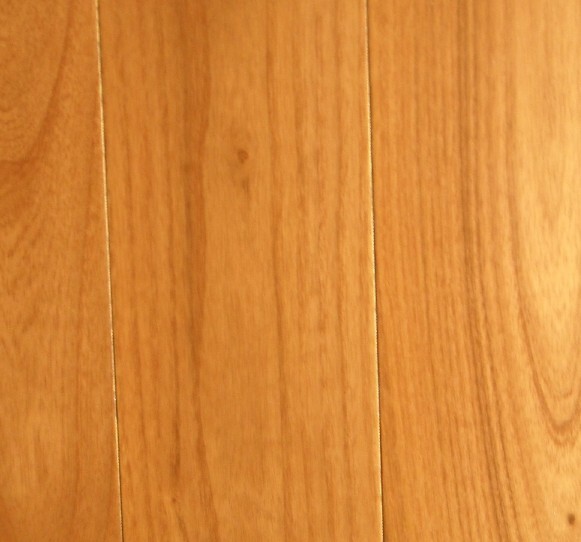 Robinia wood is ideal to be treated as handscraped & distressed hardwood timber flooring.